Great Chiming tone with sweet, warm midrange. Excellent for Marshall and Fender amps. 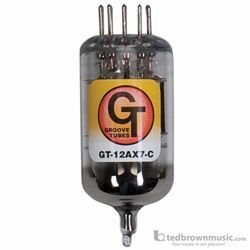 Smooth distortion characteristics and one of the highest-output preamp tubes in the GT 12AX7 line, with very consistent quality.